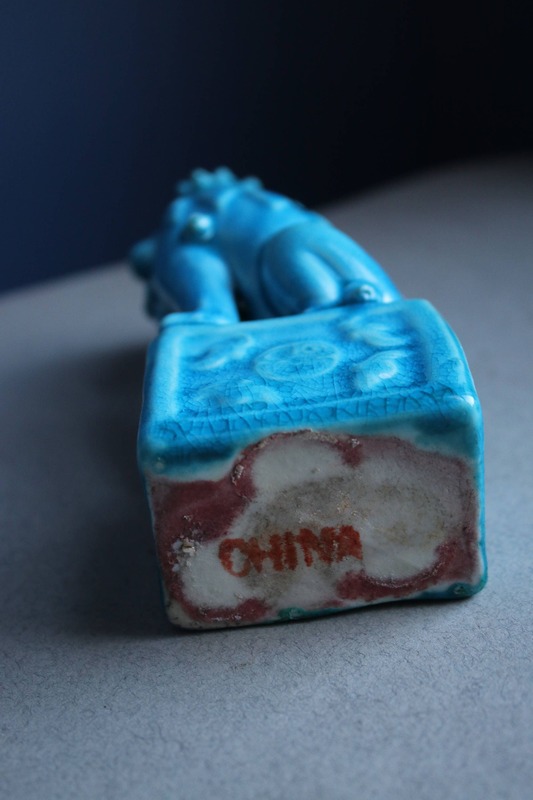 Even though all Chinese porcelain made between approximately the 1890s and 1920 should bear the red stamp mark of "CHINA," this usage may have occurred at a later date, including the 50s-70s. 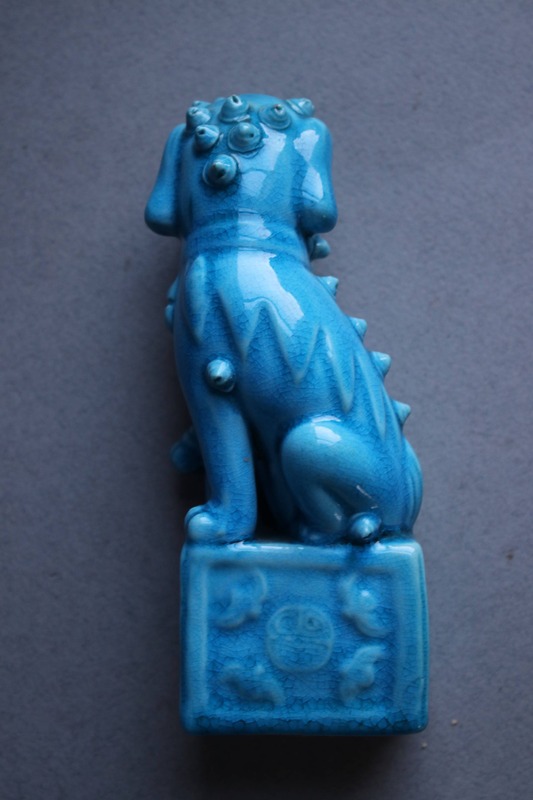 I am dating this female foo dog as being circa 1960s, but I am not certain. 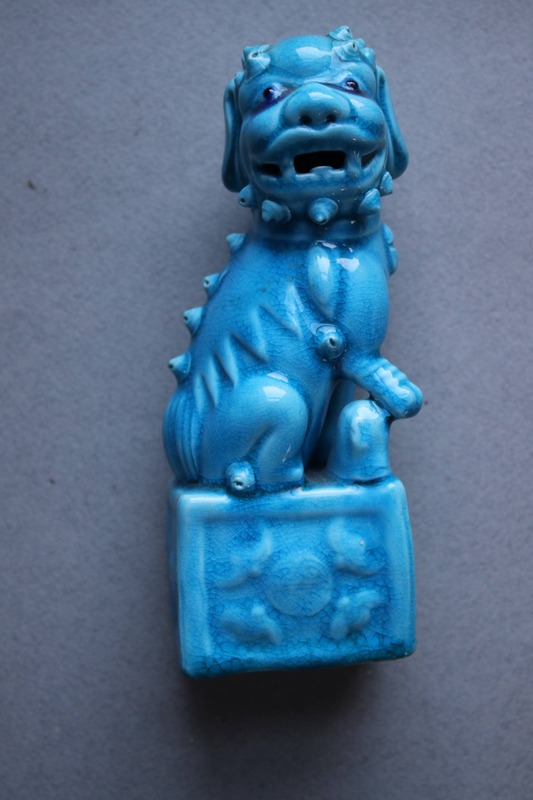 According to www.gotheborg.com, a well-known authority on Asian porcelain, the stamp style appears to be mid-20th century (50s-60s). 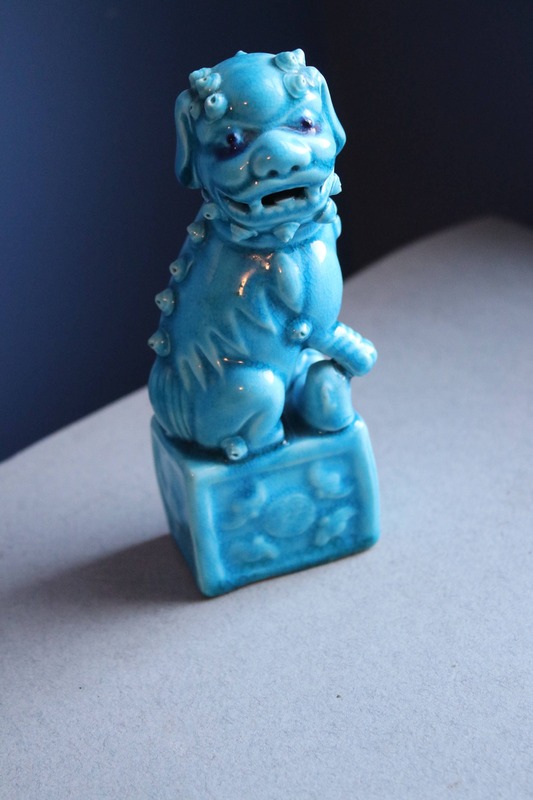 This particular foo dog is a female, as evidenced by the pup under her paw. 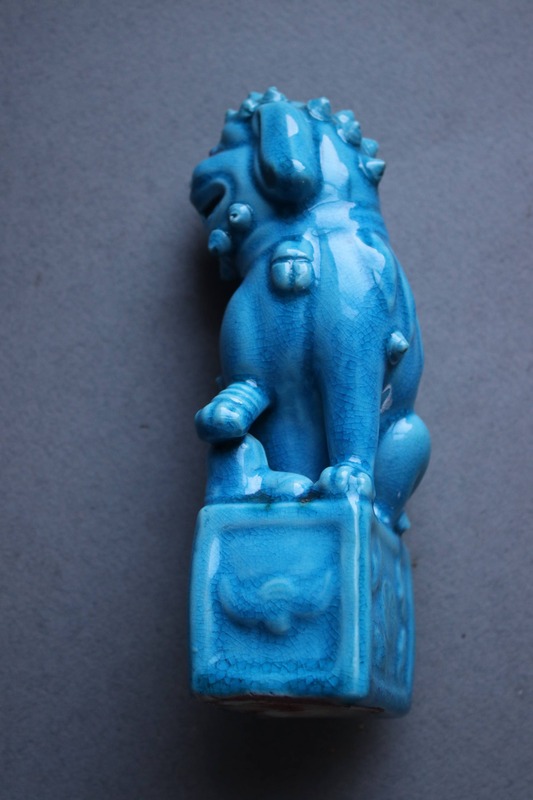 The male foo dog will have a ball. 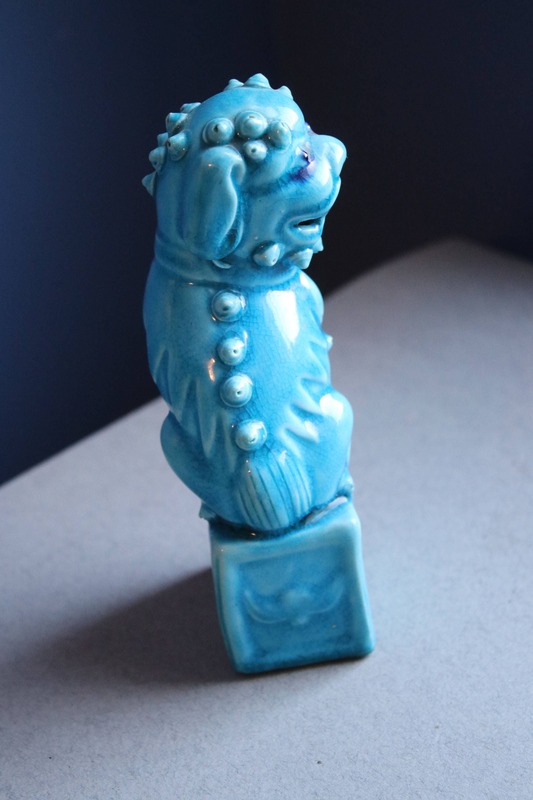 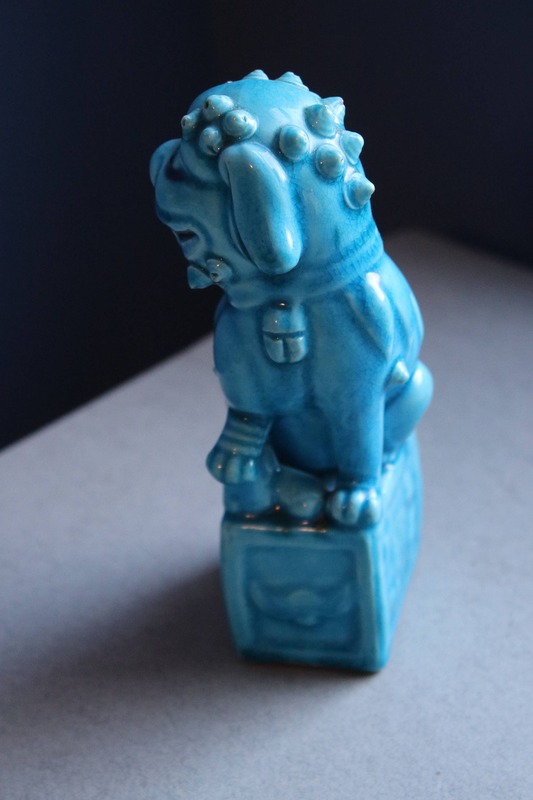 The base is 2.25" x 1.50" and the foo dog is approximately 6" in height. 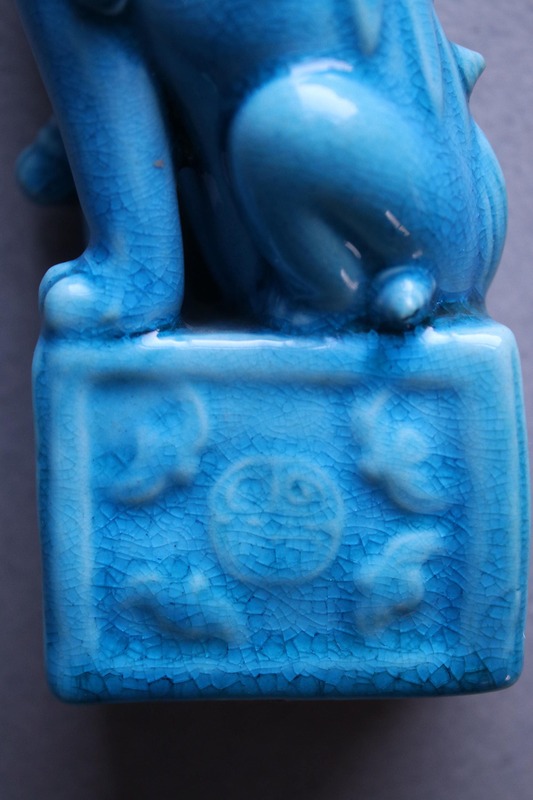 There are no chips or cracks, but there is considerable crazing. 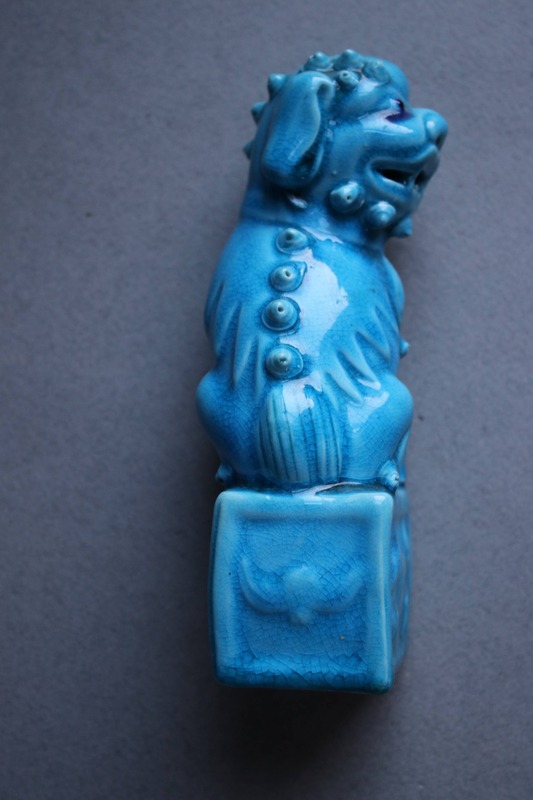 Do let me know if you'd like more photos. 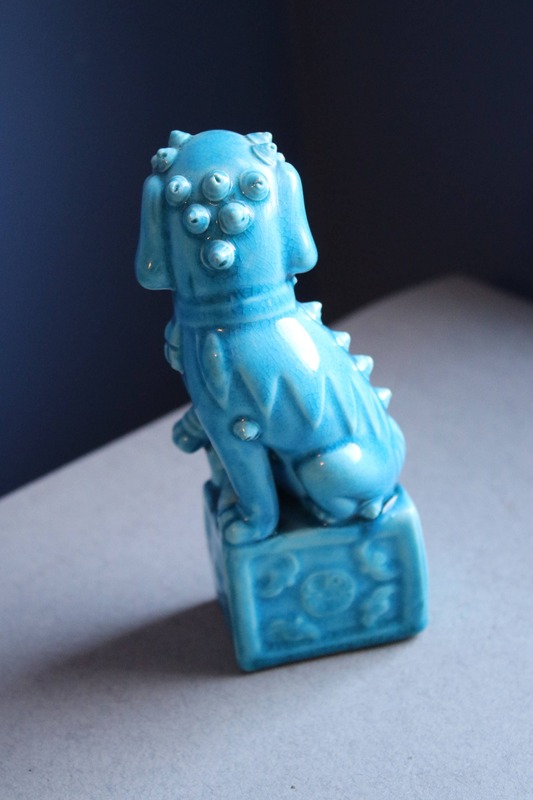 Your foo dog will be send insured Priority Mail.